The Property Council of Australia has completed a major review of a 20-year-old Brisbane infrastructure plan to highlight the importance of targeting infrastructure investments. 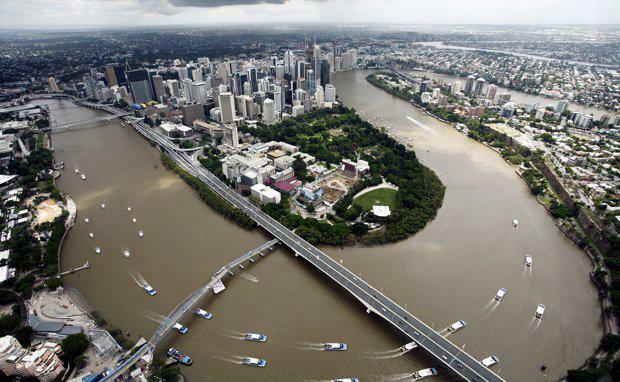 Queensland Executive Director of the Property Council, Chris Mountford, says the Better Cities Program (BCP) - which funded 26 strategic projects in the early 1990s – still contains valuable lessons for today’s politicians. “The economic impact of the Better Cities Program is still being felt in Brisbane today. If we could get infrastructure investment right twenty years ago there’s no reason we cannot do it again today,” Mr Mountford said. A new report, produced by the Queensland University of Technology for the Property Council, has examined the long term economic impact of the BCP’s New Farm/Teneriffe and Newcastle urban renewal projects. Starting in 1991 and running for five years, the BCP brought together $86.6m of Federal, State and Local Government investment to projects in the New Farm/Teneriffe area, including a $22m upgrade of the area’s main sewer line - the major constraint to the revitalisation of the declining industrial zone. Unlocking over $5.31 billion in private sector investment, including 11,600 new dwelling approvals, 447,000 square metres of new office accommodation and 300,000 square metres of retail space. “This economic growth has led to an increase in government revenues in excess of $90 million per year, more than the original five-year investment from government,” Mr Mountford said. “The New Farm/Teneriffe experience highlights that it could be an investment in ‘unsexy’ infrastructure like a sewer line, which will act as a catalyst to attract private investment, unlock economic growth and create jobs for many years to come. “It should also be acknowledged that this investment was backed up by a long-term policy commitment to urban renewal by all Brisbane City Council administrations since the 1990s. The QUT report has demonstrated similar long term results from the BCP investment in Newcastle’s Honeysuckle redevelopment. The Property Council is calling on the all levels of government to utilise similar approaches to strategically targeted infrastructure investment to unlock long-term economic growth.